Circular Quay harbour is one of the most buzzing tourist destinations in all of Australia. 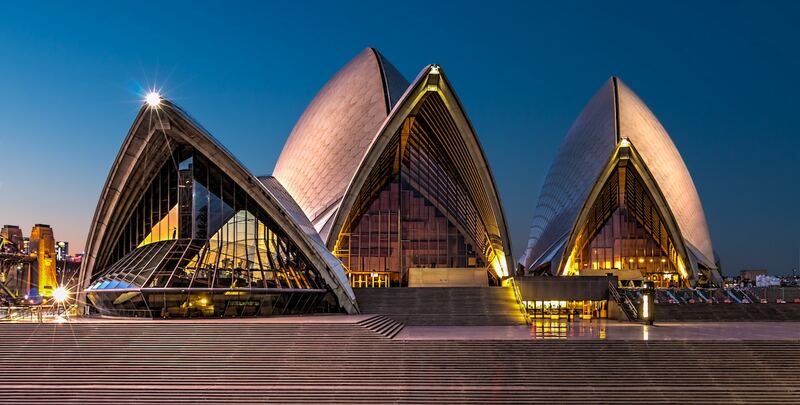 It’s the perfect gateway into some of Sydney’s most iconic attractions, whether it be the Sydney Opera House, the massive 504 meter (1,654ft) tall Harbour Bridge, or the entry point to your journey into the beautiful Royal Botanical Gardens. 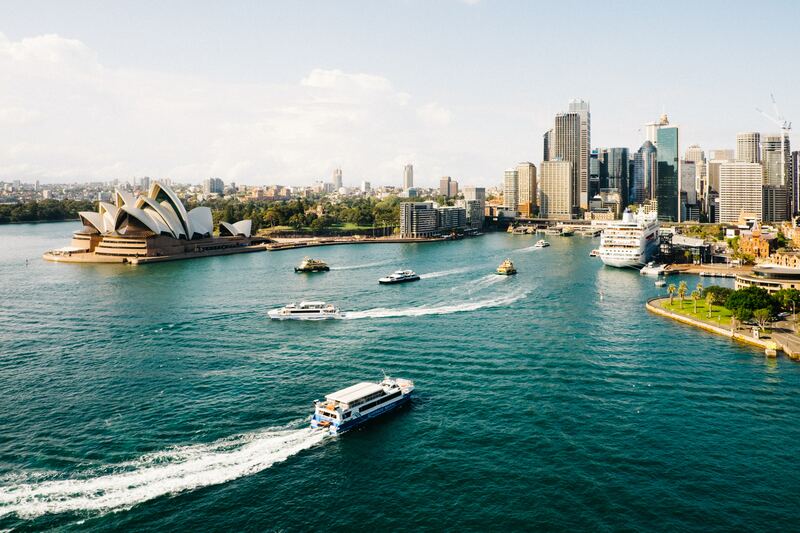 It’s numerous ferry wharf’s make it the best place to take the scenic route to any number of Sydney’s hotspots as well as making your way to the gorgeous beaches in Northern Sydney. Circular Quay. Credit Dan Freeman @danfreemanphoto. Circular Quay is probably the easiest place to get to and from with public transport. It’s located on the northern edge of Sydney’s CBD (Central Business District) and is most visitors first stop when taking in the sights of Sydney. It has numerous bus and train platforms and an upcoming light rail station which makes it perfect for tourists or locals to get to. I’d recommend taking the train into Circular Quay as it’s less than a 2 minute walk from the train platform to the main quay section. When you exit from either of the two train platforms, you get some of the best near-panoramic combined shots of the Harbour Bridge, Luna Park and the Opera House. More than likely, especially if you’re taking public transport, you will first start your journey on the South End of Circular Quay. This is where the train platforms operate, all bus platforms and where most Taxi and ride-share (Uber/Lyft) drivers will drop you off. It’s teeming with life day or night and can be a pretty hectic place during special events, for instance when Vivid light show is on during the year (which is absolutely stunning by-the-way!). 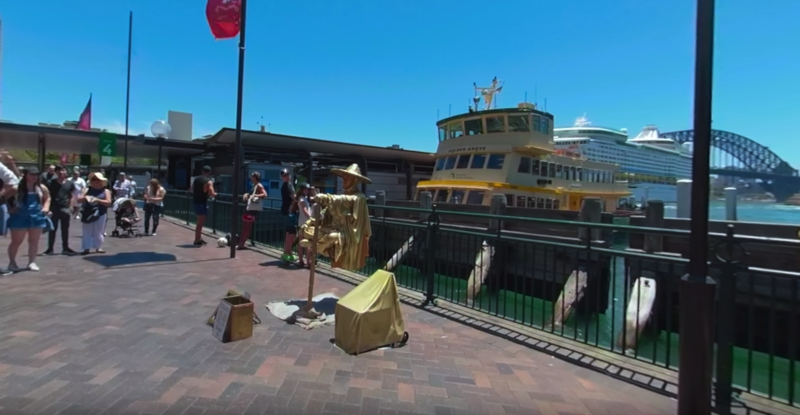 It’s where most buskers, musicians, magicians, and aboriginal artists gather to perform for the crowds. It has numerous gift shops, a few restaurants (don’t bother, there are much better ones on the East & West end! ), a bottle shop and some fast-food options. If you’re stuck on eating on the South End, don’t get caught by the two restaurants below the train station or fast-food shops, head over to the recently completed ‘Gateway‘ food centre. It has a huge collection of casual eateries, restaurants, and retail spaces. The Opera House, Opera Bar, ritzy restaurants, high-end hotels, a swanky cinema (Dendy cinema) and the entry point to the Royal Botanic Gardens makes the East End the most heavily touristed side of Circular Quay. You will be amongst swarms of people, but it’s never been too bad, unless of course, you’re there for New Years or for a big special event (Vivid). If it’s your first time to Sydney, I’d highly recommend grabbing a drink at Opera Bar during the day or night. Yes, the prices are steep ($20-$30 a drink) but the views are unbeatable. It’s one of those spots that definitely has the wow factor. The West Side of Circular Quay is where all the major Cruise Ships disembark. It’s technically apart of The Rocks district, which I would highly recommend as it has an abundant number of restaurants, bars and boutique shops to get your tourist game on. It’s where I’d recommend grabbing some takeaway food and finding a cozy spot in one of the two grassy areas close to all the action of Circular Quay. Just a word of caution, your food is sometimes likely to become prey to the many seagulls and ibis lurking around. The more North you sit the better. If you’re up for a daytime or nighttime cocktail or craft beer, the spot that gives Opera Bar some stiff competition, is the newly opened Squires Landing. Highly recommended as it has indoor and outdoor seating, a second story and pristine views of the Harbour. Just be sure to check that there’s not a massive cruise that’s docked, as it blocks the views. 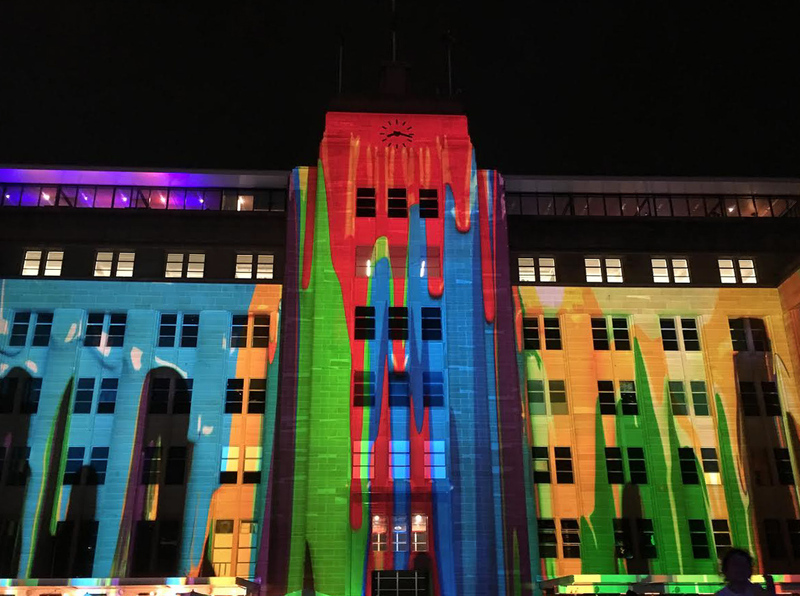 If you can plan it, I highly recommend going and seeing the Vivid Light show in Sydney. It’s scattered all over Central Business District in Sydney but the best light shows happen when you are in Circular Quay. It is breathtaking, especially when you see the Opera House lit up with 1000 different colours and patterns. Make use of the Ferries as your main transport! They even have one called Ferry McFerryFace! They give you views and photo angles that you can’t get from just walking along the paths of West, South and East ends. Also, if you’re not in a time crunch, they are the best way to commute. Go see the Royal Botanic Gardens. They are steps away from the Opera House and the East side of Circular Quay. Subscribe to my YouTube Channel for new 360° Travel Videos!